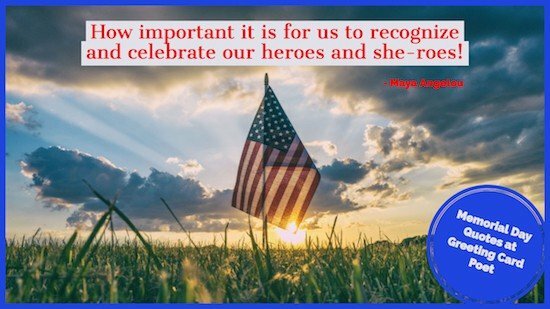 Memorial Day, also known as Decorations Day, is a day to remember and recognize those folks who died while serving the country in our armed forces. It has also come to be a time to recognize all friends and family members who are now deceased. The holiday is recognized on the last Monday of May in the United States. Traditionally, many people will visit cemeteries and place flags near graves. While Veterans Day celebrates the service of all veterans who served, Memorial Day recognizes those who died while serving. 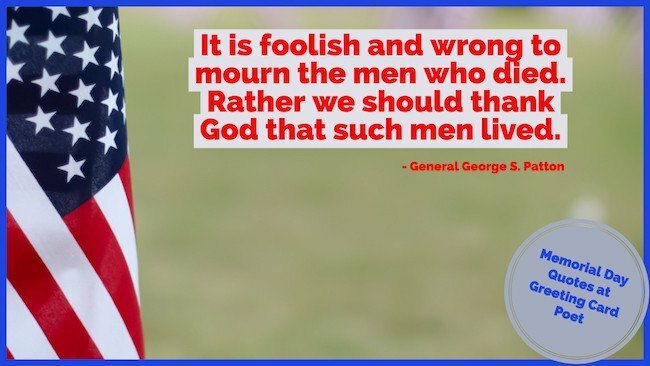 To appreciate those veterans who made the ultimate sacrifice, we’ve assembled this collection of Memorial Day quotes, images and messages. Heroes never die. They live on forever in the hearts and minds of those who would follow in their footsteps. Decoration Day is the most beautiful of our national holidays…. The grim cannon have turned into palm branches, and the shell and shrapnel into peach blossoms. Other lands have had heroes, but ours were more–they were saviors, and by their sacrifices have saved the greatest land under the shining sun. For love of country, they accepted death. 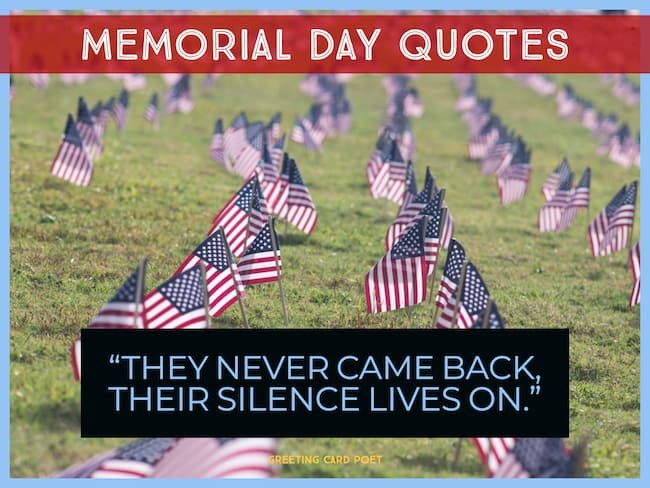 Memorial Day is one of the most significant and beautiful occasions of the year. 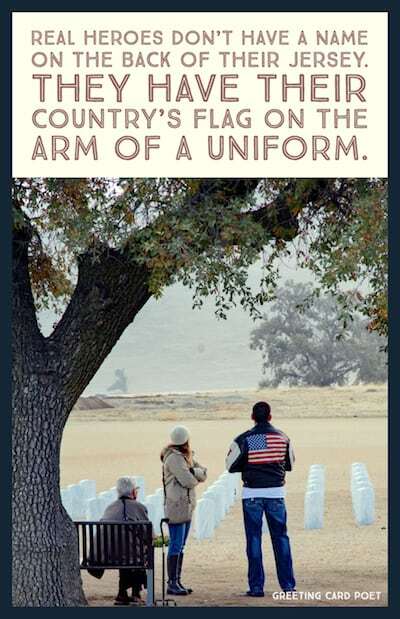 It shows the sentiment of the people toward those who gave their lives for a good cause, and it teaches a lesson in patriotism which is without a parallel. On thy grave the rain shall fall from the eyes of a mighty nation! In the United States, Memorial Day is traditionally celebrated on the last Monday of the month of May. In 2018, it falls on May 28, 2018. The willingness of America’s veterans to sacrifice for our country has earned them our lasting gratitude. Every veteran is a hero. America’s veterans embody the ideals upon which America was founded more than 229 years ago. From the world wars of Europe to the jungles of the Far East, from the deserts of the Middle East to the African continent, and even here in our own hemisphere, our veterans have made the world a better place and America the great country we are today. Real heroes don’t have a name on the back of their jersey. They have their country’s flag on the arm of a uniform. There is nothing nobler than risking your life for your country. We can’t all be Washingtons, but we can all be patriots. Memorial Day is celebrated every year on the last Monday of May. This year it falls on May 28, 2018. 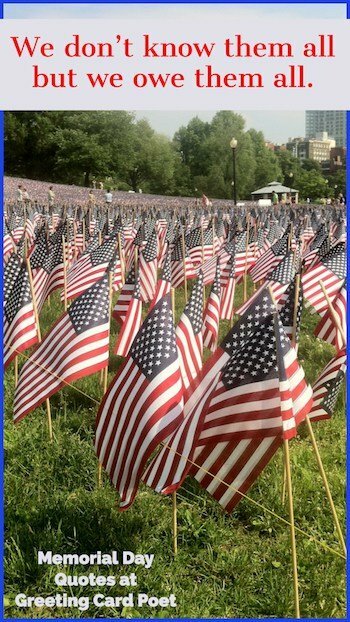 Once referred to as Decoration Day, it commemorates all military servicemen and servicewomen who laid their life for the United States. The day is celebrated by visiting memorials and cemeteries. It is also considered as the day when the summer season starts. If you can read this in English. They never came back, their silence lives on. We are forever grateful for the ultimate sacrifice of those who died for the Unites States of America. May their courage and dedication will never be forgotten. Let Memorial Day be a day to count our blessings and remember those who serve to protect our country and our freedom. On this Memorial Day… let the memories of the dauntless and valiant martyrs be with us. The brave hearts never die… they sleep in the embrace of their soil. Remember our fallen heroes. They are the reason that we are free. We are mourning those who died for the United States to remind ourselves of worthy ideals, virtues, and priorities. May their sacrifice be a constant reminder of things that matter.